MS B Level “Play Day” Success! On Saturday, 5 MS Boys B players showed up to play against Paul Cuffee and Community Prep in a MS B level “Play Day”. The day was set up so that the kids could see more playing time and oh did they ever! At times joining forces with other teams, BJ Kerachsky, Jonathan Riley, Justin Onysko, Boden Dair and Akbar Askarov got plenty of exercise. 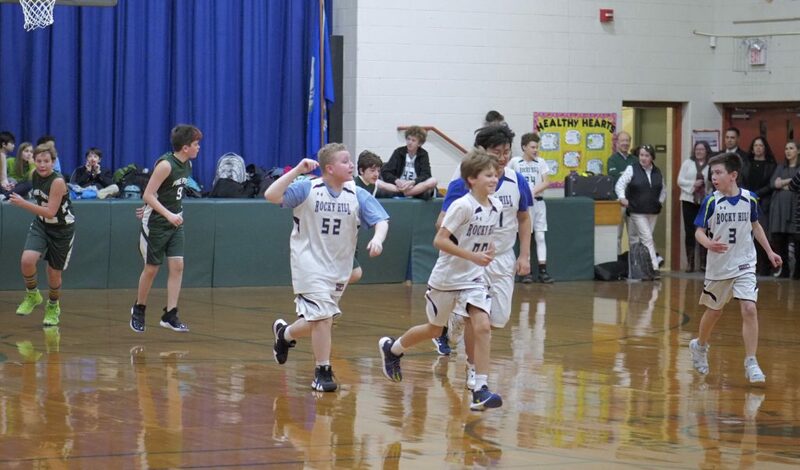 The middle school boys B team hosted Gordon on Valentines Day feeling great after their first win. The boys lost to Gordon the first game of their season 7 to 34 so they were eager for another shot. They kept it close for the first 8 minutes of the game only down 10-4 but Gordon’s number 7 took over and scored 10 points before the half ended. Although they lost 46 to 10, the boys looked tremendously more composed and organized than the first game against Gordon. As always the Mariners played great defense with James Tillinghast and Dudley Samponaro recording 3 steals each. Biagio DeCenso and Massimo DeCenso held the paint down recording 7 and 4 rebounds respectively. BJ Kerachsky and Boden Dair were the teams leading scorers, both with 4 points. Next week the boys have their last game of the season against Times Two Academy. B Team Gets its First Win! The boys grabbed their first victory of the season in a close one against Barrington Christian Academy. The boys B team has played great defense throughout the season and tonight was no different. 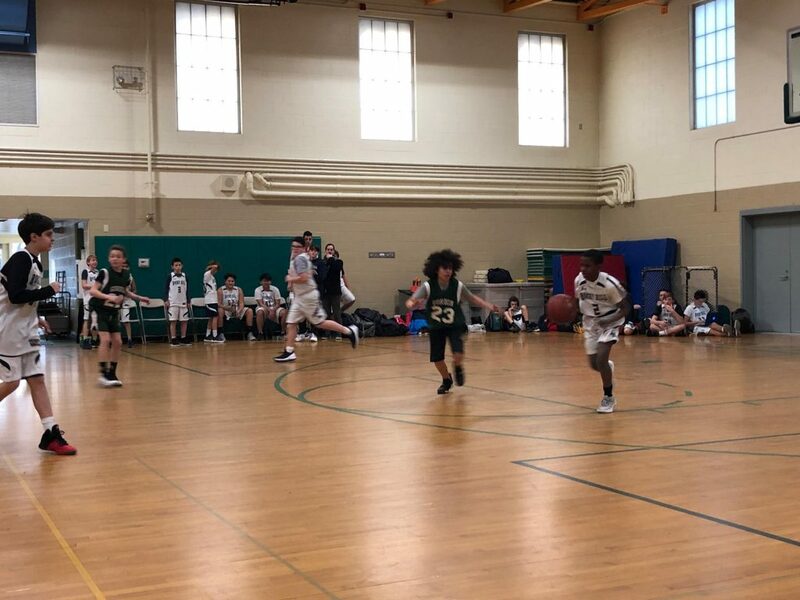 With the team missing their seventh graders due to a field trip, the sixth grade boys had to step up and they did in a big way. James Tillinghast was the heart of the team recording 10 steals, 3 points, and 3 assist. The offense was lead by Boden Dair and BJ Kerachsky who had 6 and 8 points respectively. Boden also had the play of the game with a James-Harden-like step back three. The game came down to the wire and the boys held onto their lead to secure their first win. Next week the boys host Gordon and look to start a winning streak. 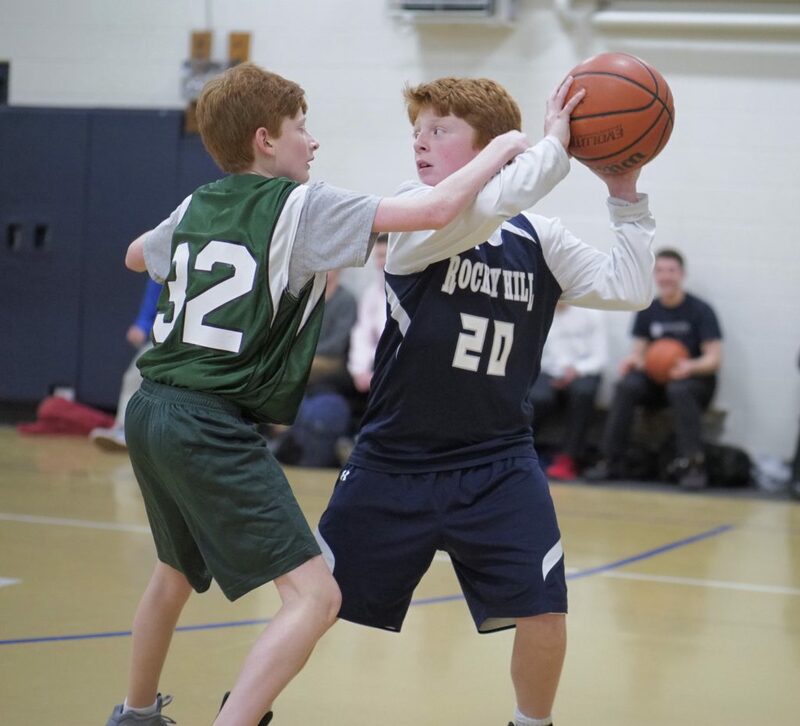 The Rocky Hill boys B team traveled to Pine Point for their fourth game of the season and hungry for their first victory. At half the boys were down 18 to 15 but had fallen deep into foul trouble. Cole Brown, Massimo DeCenso and Josh Bowater all had picked up 4 personal fouls which gave pine point a lot of opportunities at the foul line. With seven minutes remaining the boys were down by 30 to 19. 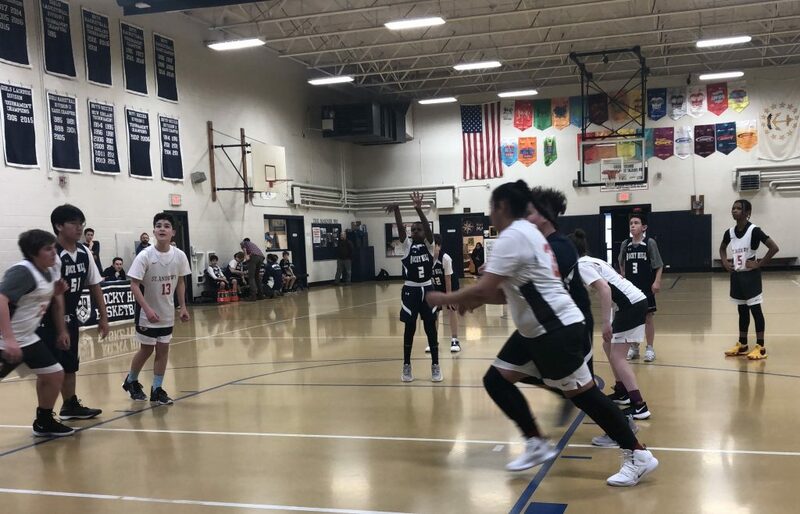 In an attempt to narrow the gap, we switched to a full court man to man press which worked well as they limited pine point to just 2 points and scored 7. However, there just wasn’t enough time to complete the comeback. Dudley Samponaro played great back court defense throughout the game tallying 6 steals, many of which came during the full court press. In addition he also scored 6 points and was our team co-leading scorer along with Massimo DeCenso. Jay Park and Cole also both tallied 4 four points, two of Cole’s came from the line as he continues his great free throw shooting percentage this season. 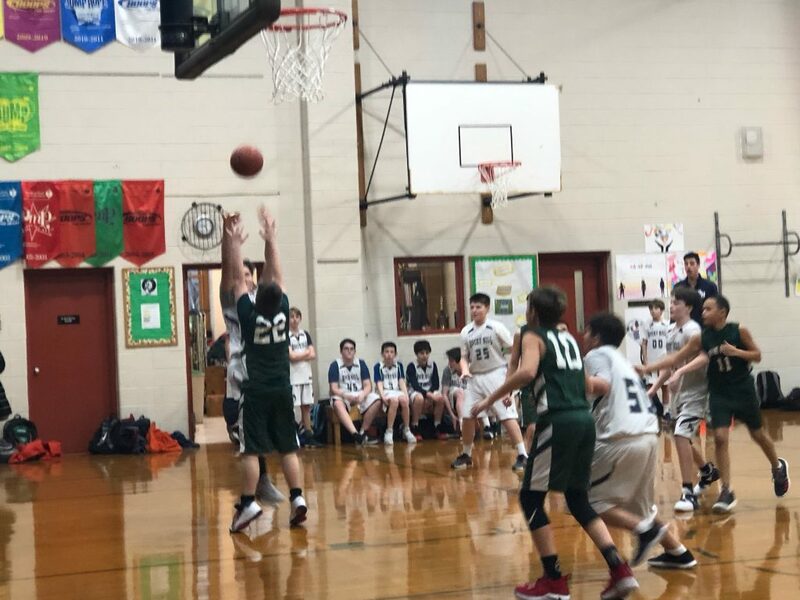 The boys middle school B team lost a their home opener against Saint Andrews on January 29th, 2019. The team had a strong first half keeping it close by scoring 22 points and holding saint Andrews to 27. However some costly turnovers in the second half stalled the offense for a bit and allowed Saint Andrews to gain a comfortable 10 point lead that they never let go of. BJ Kerachsky was the teams leading scorer with 10 points and had a three pointer late in the second half. BJ also had an impressive defensive effort tallying six steals. Joshua Bowater played well having three rebounds and scoring 7 points including a corner three. Holding down the middle of the paint was Jay Park with 8 rebounds and 6 points. Next week the boys play at Pine Point and look to capture their first victory of the season. B Team Season Has Begun! The boys B team played hard and played overall great defense. Dudley Samponaro was the teams leading scorer with 4 points coming from a layup and 2 free throws. Boden Dair had a nice mid-range jump shot from the short corner for 2 points. BJ Kerachsky and Cole Brown handled the ball well on offense and played great back-court defense, both recording four steals. Jae Park and Massimo Decenso had the paint locked down, having 2 and 1 blocks respectively. Joshua Bowater left it all out on the court and recorded 5 rebounds and 2 steals. Next week, the boys will travel to Nativity Prep on Thursday! The boys faced off against a strong coed St. Andrews MS team. STA had two strong players that scored all of the points. For Rocky Hill School, Andrew Corsi, Colin Zito, Ben Lawson, Brennan Hill and Nate Lee all contributed. Rocky Hill middle school boys basketball B team went into Cedar Hall with determination. 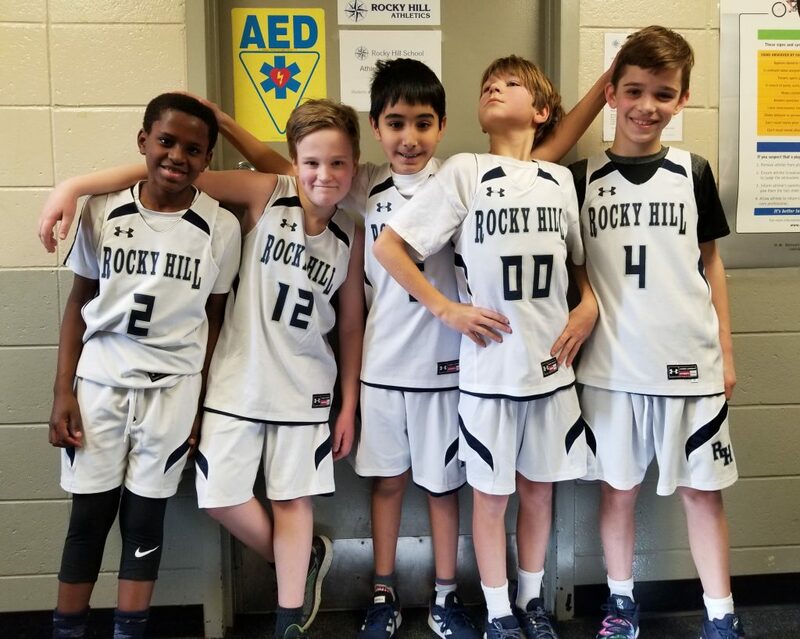 Unfortunately Rocky Hill came up just short with a 20-19 loss in a thriller down to the buzzer. Ben Lawson has a tremendous game with 3 points, 4 rebounds and 4 steals. Andrew Corsi had a season high 4 blocked shots. Another season high accolade was performed by Colin Zito who finished the game with 8 points. 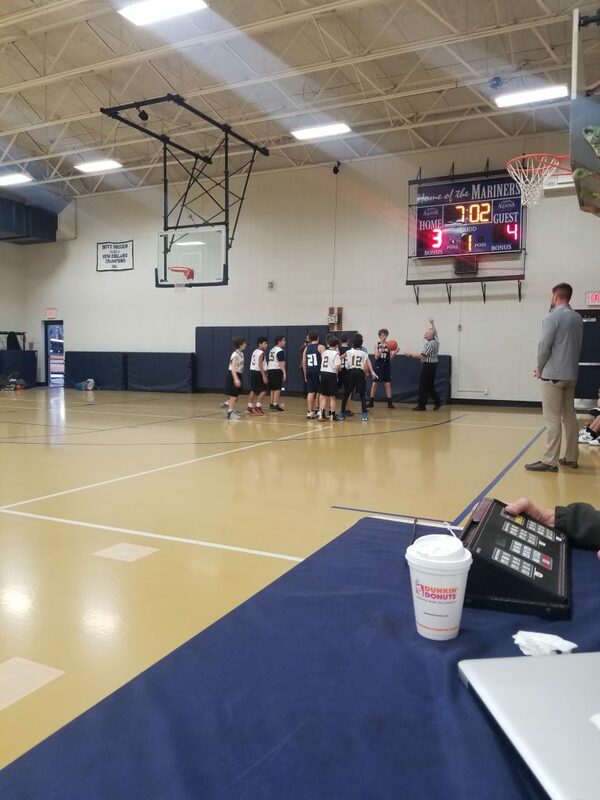 Rocky Hill middle school boys basketball hosted Wheeler in a close loss between the B team and Wheeler C with a score of 20-16. Andrew Corsi and Ben Lawson added to the scoreboard with four points a piece. 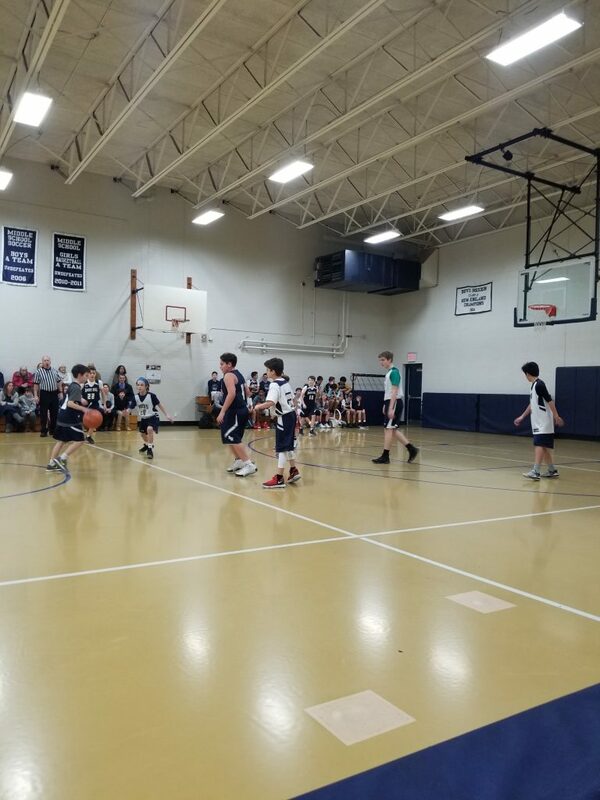 Middle school boys B team battled hard in a 37-10 loss to Moses Brown Thursday. Ben Lawson crashed the boards hard and came away with 4 points. Alex Lehouiller also contributed a deep three pointer.